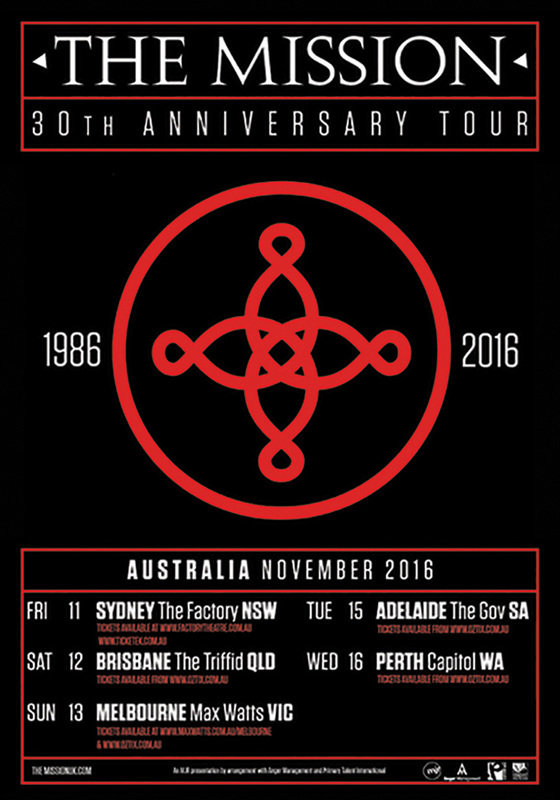 80s UK bad boys The Mission are heading down under for their 30th Anniversary tour this November, the first time they’ve set foot in Australia since 1990. With over four million albums sold worldwide over nine albums, The Mission’s status as one of the world’s cult rock acts has never been questioned, winning countless accolades and inspiring both lurid media stories and a fanatical following as they toured constantly. Highlights such as seven consecutive sold out shows at the Astoria Theatre in London (a house record never beaten), headlining the famous Reading Festival twice, and also playing with U2, The Cure and Robert Plant all make the bands lengthy list of accolades. Tickets go on sale 25th January.